Frank West has done it all. He covered the original zombie outbreak in Willamette USA for which he himself got infected for his efforts. He then helped develop a cure for it which then become a well-known pharmaceutical product known as Zombrex which helped both Frank and Chuck Greene survive a second outbreak. As life has a way of bringing events full circle, Frank now finds himself back in Willamette, during yet another zombie outbreak, and just in time for Thanksgiving, Black Friday and Christmas. Happy Holidays Frank! Related reading: Also recently released is the Dead Rising Triple Pack. 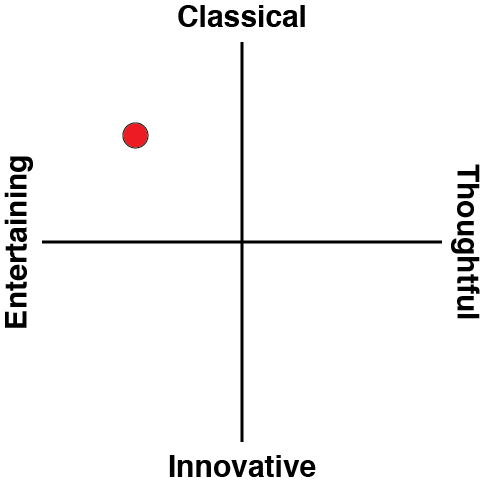 You can read Pierre's review of the games here. 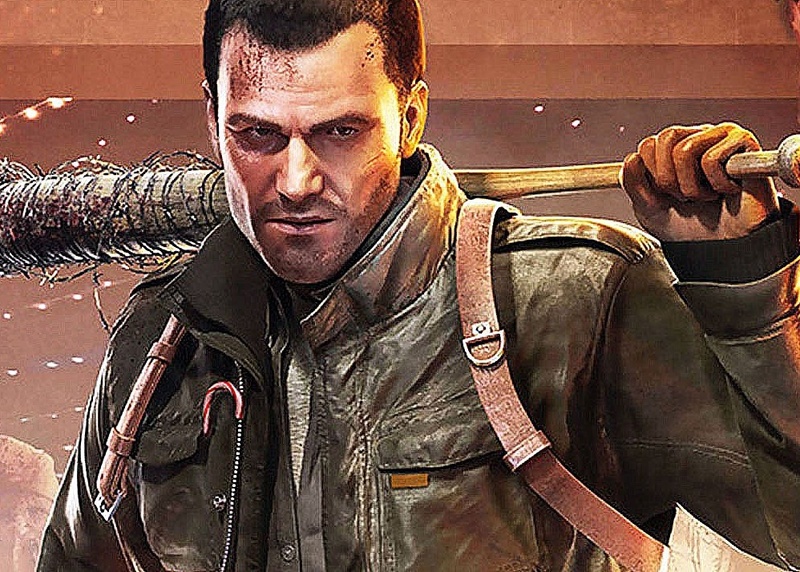 Dead Rising, while being known for its crazy and over the top zombie survival, is perhaps less known for its showcasing of the darker side of humanity. At first glance this depth can be hard to see especially when batting at zombies with stuffed toys and iconic Capcom merchandise. It’s not until you start digging into both the main and sub- that things that the darker themes start to come to light. A bit like a clown, really; on the surface it’s a funny, silly person, but underneath clowns are really mocking us. It’s been years since the original outbreak and a permanent vaccine to the zombie virus was created, eliminating the possible horrors that such monsters bring. This of course was until a new virus was released and no one has a cure for that one. A bit like the disease-resistant viruses which are threatening to become a major issue for the medical world that has become too reliant on antibiotics that might not work for much longer. So what better way to launch a new outbreak than on a capitalistic consumer heavy holiday originally designed to give thanks? Never forget that George A. Romero’s original zombie vision was as a deep satire of the western capitalist environment. - Time limits to uncover sinister plots in which failure to arrive at specific times resulting in a game over. - Side objectives which could result in facing off against “maniacs,” who have snapped so far from reality that they their insanity makes them stronger and tougher than an average human. - Ordinary civilians caught up in the ensuing mess and needed to be saved and guided to a safe place in order to lay low and wait for help. These civilians also had personalities that made them feel like an actual person instead of nothing more than a side quest, though you’d get experience points for saving them anyway. - Finally there have always been the crazy weapons that as of Dead Rising 2 could be constructed into even more ridiculous forms for maximum “efficiency”. All of these systems built up on one another in order to create something special. With only so much time that could be dedicated to side objectives or arming yourself up for a major fight, choices had to be made if you were to meet the main objectives’ timelines, and you’d never be able to achieve everything that you would want to within those time limits. That race against the clock was so critical to the appeal of the original Dead Rising games that it’s baffling that the feature is gone in this new game. 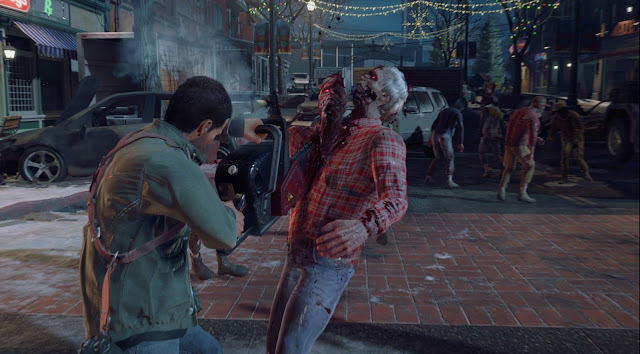 Dead Rising 4 has done away the time limits, and has tweaked several of its other features too. Maniacs are now nothing but a side note, and civilians have been turned into a respawning “resource” so if you miss one or two it’s not the end of the world as you can always find another in the same spot just a few in-game hours down the line. Newcomers to the series may not see this as a bad thing as it’s easy to get in to some some crazy zombie killing action; especially given that powerful weapons are accessible early on. Combining this with the removal of time limits eliminates the stress of relying on whatever resources can be scrounged up in the near vicinity on the journey between points A to B. 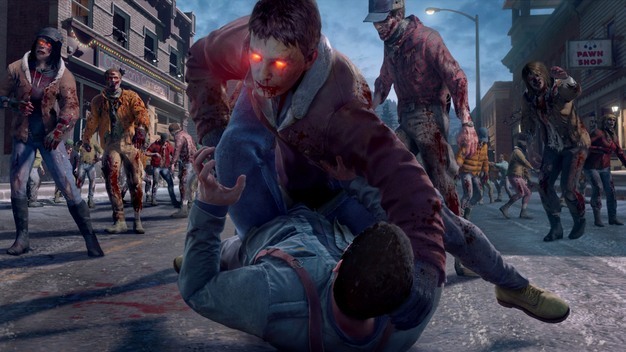 Now the survival theme doesn’t really matter, and without that drive Dead Rising 4 became more of a mindless action title than surprisingly tense thrillers that its predecessors were. 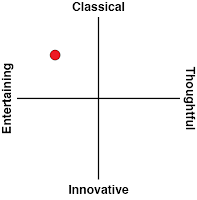 This isn’t to say that the main plot is bad, it’s just that it isn’t as deep as in the previous ones. Further, the gameplay is the smoothest yet. Dead Rising always had a clunky inventory system that shared its space between your melee and ranged weapons and whatever food that you happened to have on hand. Now instead of playing a constant game of juggling, each of these now have their own inventory slots. This has made the experience much smoother as they’ve even made it easy to switch out weapons on the fly to stop for moment and look through a weapon wheel in order to see the durability of everything. At the final stop of this Christmas parade is the return of Dead Rising 3’s levelling system, with this new game having its own spin put on it. Separated into categories such as melee, ranged and survival, Frank has a lot more customisation possibilities than before. So, while the narrative itself feels hollow, at least this time cruising around the world killing “z’s” is more streamlined and enjoyable that in the past. One final item that stuck out above the rest while finishing Dead Rising 4 was the lack of an Overtime mode. Overtime has always been available if, and only if, you hit all the proper main plot markers in order to continue playing AND see the “real” conclusion to the story. With no spoilers, after seeing the ending of this game and coming up to the credits I was brought back to the main menu. There had to be an Overtime as it couldn’t simply finish the way that it did. That said there will be, but, it will only be released in the New Year in DLC titled “Frank Rising”. Unfortunately the true ending is not part of the base experience which I found quite disappointing. 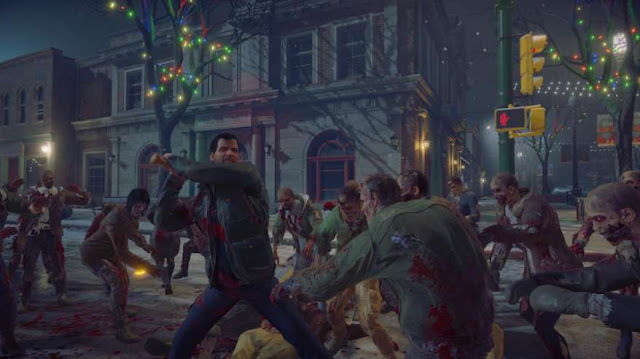 Dead Rising 4 takes a few steps forward in terms of the gameplay mechanics, but also takes a giant zombie-infected shamble backwards in regards to the narrative elements. Taking away the ticking clock, making the maniacs nothing more than a mere annoyance instead of the stuff of nightmares, and having civilians easily rescued really pulled away from what I liked in the previous games. Dead Rising 4 is fun, but it’s also a little hollow and it’s lost a significant chunk of the series’ soul.